Belgium Becomes the Seventh European Country Where the SIGFOX Dedicated IoT Network Is Being Rolled out Nationwide or Already Operating. SIGFOX, the global leader in cost-effective, energy-efficient Internet of Things (IoT) connectivity, and ENGIE announced today that ENGIE M2M, a new ENGIE subsidiary, will deploy the SIGFOX IoT network across Belgium. As a SIGFOX network operator, ENGIE M2M will work with Belgian developers and businesses to grow the IoT ecosystem and provide connectivity subscriptions to customers. 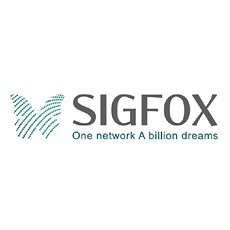 By lowering barriers to more widespread implementation of IoT and machine-to-machine (M2M) connectivity, the SIGFOX global network will allow Belgian customers to connect millions of devices. The network is expected to be available nationwide in two years. Electrabel, a Belgium-based electricity and natural-gas company and ENGIE subsidiary, also will explore opportunities to integrate the SIGFOX IoT network within its B2B and B2C solutions. With this agreement, Belgium becomes the seventh European country where the SIGFOX dedicated IoT network is being rolled-out or already operating on a nationwide basis. This is also SIGFOX’s second announced partnership in the past month with a subsidiary of ENGIE. Cofely Services, Europe’s leader in energy and environmental-efficiency services for buildings, said it will use the SIGFOX network to expand services it provides building owners in France. ENGIE, formerly GDF Suez, also participated in SIGFOX’s recent venture capital round that raised $115 million from investors in the U.S., Europe and Asia. Through the SIGFOX Ready™ program, the company ensures that compatible devices have optimal radio performance and are promoted in the global SIGFOX Ready™ solution catalogue. Moreover, the company partners with Texas Instruments, Atmel, Silicon Labs, Telit, AXSEM, ATIM and other chipmakers to give IoT users a wide choice of transceivers, systems-on-chips (SoCs) and modules for connecting their devices with its network. No other system offers this truly open approach.